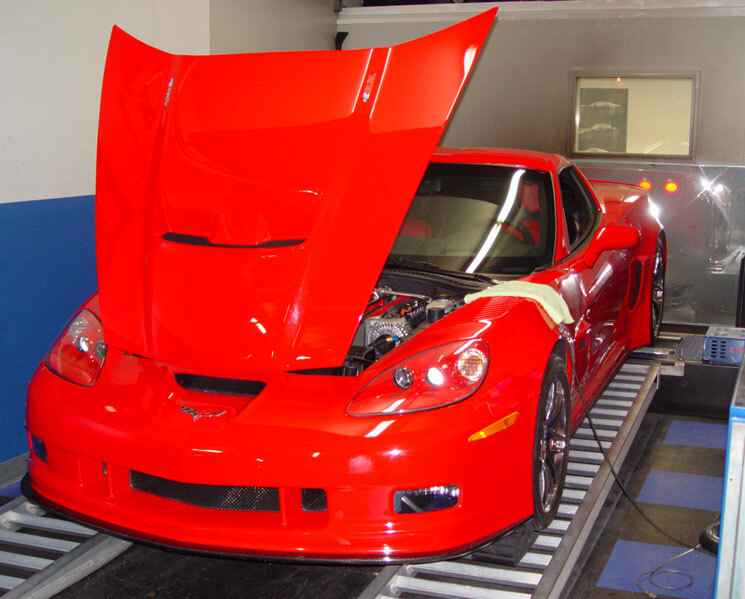 This Pratt & Miller C6 RS Picked Up Additonal Power From Dyno Tuning. This Pratt & Miller C6 RS came to us looking for some transmission work and a custom dyno tune. The Pratt & Miller C6 RS is a purpose built carbon fiber race version of the C6 Corvette. The full floating 6 and 4 piston brakes really get a workout via a custom 8.2 liter Katech engine pushing out 600hp/600ft-lbs.